Long committed to the environment, body care product manufacturer W.S. 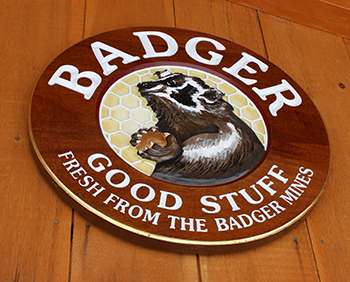 Badger Co. in Gilsum has a rigorous standard for any natural ingredients it sources, ensuring that its supply chain supports healthy agriculture, is minimally processed and promotes sustainability. 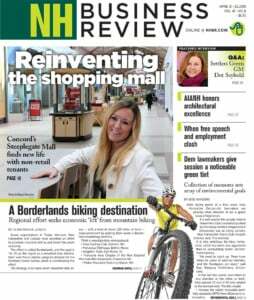 But its winning entry in NH Business for Social Responsibility’s 2017 Sustainability Slam had a different focus. Badger detailed the company’s efforts to address recovery and substance abuse in the workplace, recognizing that businesses are able to change people’s thinking, vocabulary and approach to co-workers and colleagues around issues of substance abuse and recovery. The firm worked with a trained advocate in the field of addiction and recovery to offer training that helped employees better understand ways they might help a colleague, friend or family member struggling with addiction. By creating a welcoming and supporting environment for employees struggling with substance abuse in their lives, whether their own or that of a loved one, Badger helps de-stigmatize the issue and encourages employees to seek resources and support services. An internal point person and the human resources team are all committed to supporting employees through the recovery process. Fitzgerald said response to the initiative has been great, with all employees undergoing training focusing on introducing concepts and approaches to helping provide recovery support. She said Badger hopes to be a model that other companies may look to in creating workplaces that best serve the needs of their employees. For more information about Just One Thing and the 2018 Sustainability Slam, which will be held Nov. 1 at Labelle Winery in Amherst, visit nhbsr.org.